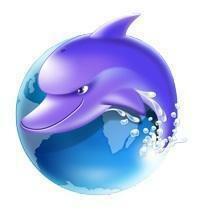 While we continue to wait for Dolphin 7.0.x and 7.1.x updates Boonex occasionally posts Dolphin 8 teasers. The most recent is the Dolphin 8 Preview - Page Builder. They recently posted a video teaser that is a little over 6 minutes long. It isn't extremely detailed, and you have to watch closely because it moves along fairly fast. It looks appealing, but since it goes so fast it is difficult to tell how user-friendly it will be. They obviously make it look simple enough along with a little coolness. Most likely it is just a teaser to increase popularity and keep people interested and talking about it. I suspect that there is a long road ahead until we actually see it available for a live site considering we haven't even seen Dolphin 7.1.x that Boonex keeps talking about. We are already 2 months into 2012, and approaching the 3rd month. I think it will be tough for them to put out a decent stable 7.1.x version before the end of the year. I am not so sure about Dolphin 8 this year. Time will tell I guess. If you are interested in what Boonex is doing in the development and new release department be sure to check the link above and watch the video. In the meantime all we can do is patiently wait, and hope for new Dolphin releases in a timely manner.